When you picture a creative public space, what comes to mind? Walls made vivid with hand-painted murals? A sculpture in a park? The visual arts often dominate the Creative Placemaking conversation, and while there is no doubt that they can provide a lasting reminder of a community’s history, they only show part of the picture. What if Creative Placemaking looked beyond the visual arts, and asked a new question: What could a great place sound like? In 2017, Chamber Music America (CMA) sought to answer this question, merging music and place by spearheading the Sound Places program, a collaboration with PPS and the Louisiana Division of the Arts (LDOA), supported by a grant from the National Endowment for the Arts (NEA). 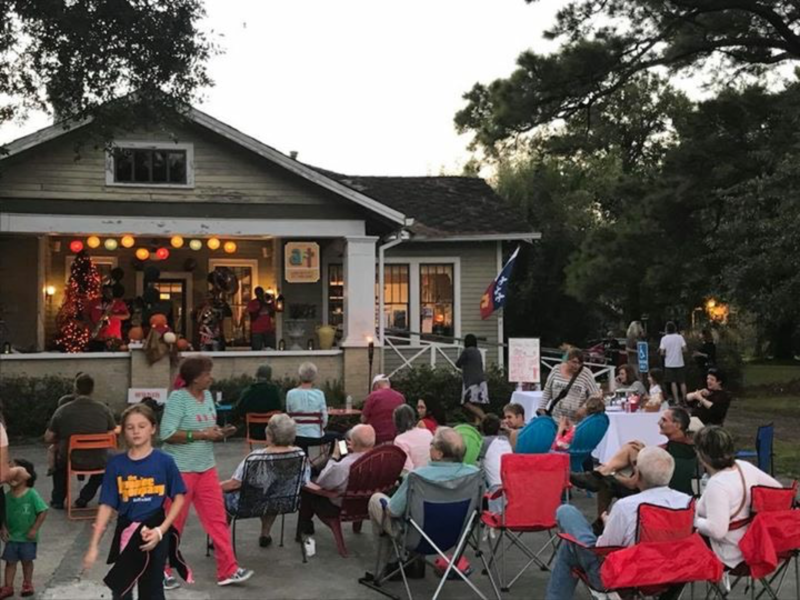 The program kicked off last January, when two musical ensembles were selected for residencies in two of Louisiana’s cultural districts, bringing attention to the intersection between the state’s unique musical heritage and local opportunities for placemaking. Feeling the pull of this hotbed of American musical tradition, the two ensembles, WindSync and the Westerlies, were eager to embed themselves in Opelousas and Rivertown Kenner, respectively, and to take a trained ear to public spaces. CMA’s Margaret Lioi, PPS’s Cynthia Nikitin and Elka Gotfryd, and LDOA’s Gaye Hamilton facilitated this unlikely new partnership that brought the musicians into community workshops and translated community input into action. Just as in chamber music, which is unique precisely because it has no conductor, the initiative was led equally by each member of the team: ensemble members, partner organizations, community activists, and local stakeholders. Opelousas is no stranger to good music. 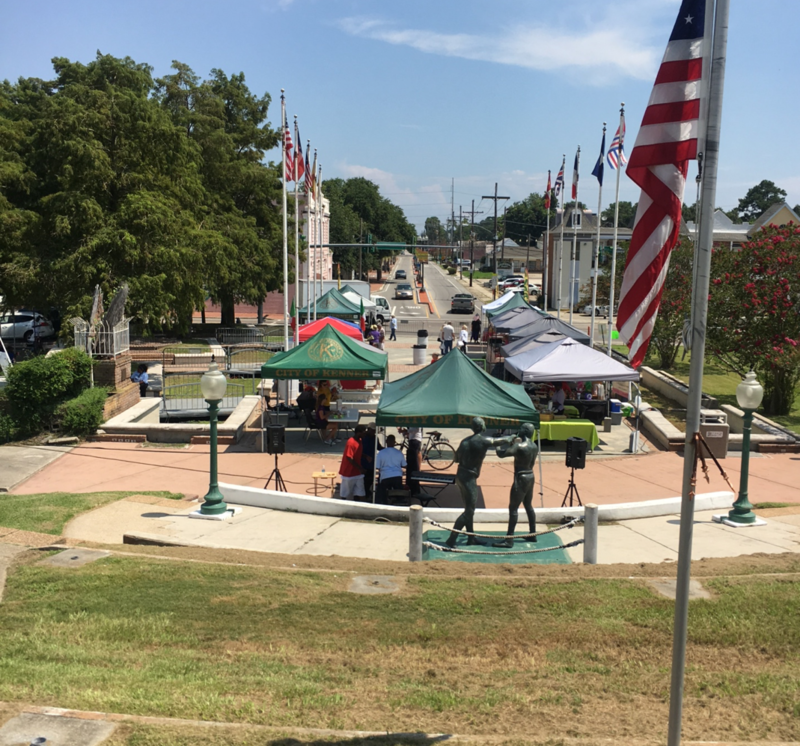 Birthplace of Zydeco, and former home of four opera houses, its locals were eager to rekindle Opelousas' musical heritage by bringing new cultural events to public spaces around town. 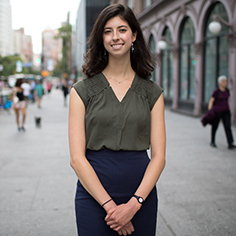 Leaders of the cultural district guided members of WindSync in harnessing the local passion for music, and in creating what French hornist Anni Hochhalter called a “bit of ceremony” around the town’s most underused spaces. On the first day in Opelousas, the WindSync quintet plugged into a town meeting led by PPS, joining residents, business owners, Mayor Reggie Tatum, and the leaders of the Opelousas Cultural District —Tourism Director Melanie Lee LeBouef and committed volunteers Troy Kahler and Joseph Cilano — to dream up how music could help residents forge a stronger sense of place and address community goals . After hearing first-hand what community members wanted to do in their own town, WindSync designed their residency to be split into two parts: first, they would visit schools to connect with local students; and second, they would go on to program under-active public spaces, in collaboration with students and their family members. During this first visit, WindSync members (Anni Hochhalter, French Horn; Garrett Hudson, Flute; Emily Tsai, Oboe; Julian Hernandez, Clarinet; Kara LaMoure, Bassoon) were given a grand tour, during which they were introduced to the most significant community places, including the local public library. As one of the main community challenges that Opelousas faces is low literacy rates, cultural district representatives made it clear that the library would be a strategic space to showcase the Sound Places activities. 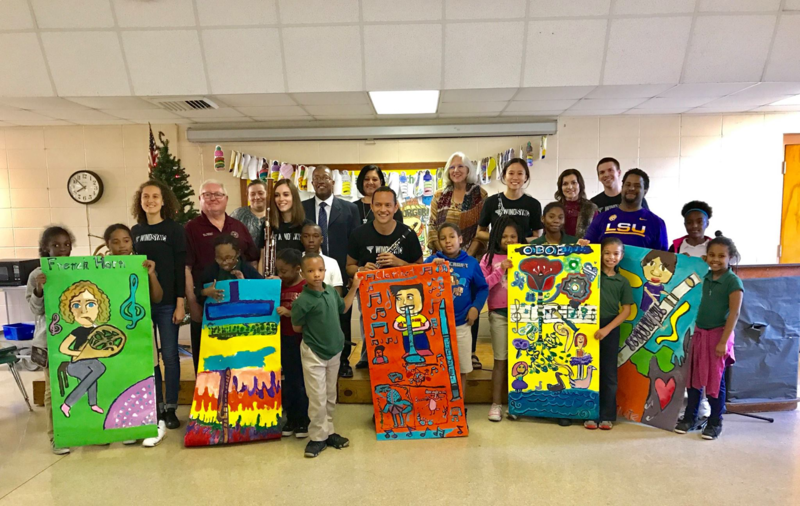 Generating excitement about reading and writing, then, became a core goal of WindSync’s residency; throughout their time in Opelousas, the ensemble worked to leverage student creativity to spark a love of learning. WindSync won the hearts of the students at South Side Elementary by introducing their five instruments at a musical storytelling assembly, striking a chord with Opelousas’s youngest residents. Then, at Southwest Elementary, the artists put on concerts with the school band and engaged with art classes to create banners inspired by the music they’d played. While classroom engagement was their entry point to the community, the quintet didn’t limit their performances to the schools; they initiated a “front porch jam,” linking up with local musicians for an informal concert, reflecting a longstanding tradition in Opelousas. The Jam set a precedent for the Opelousas cultural district to develop further public space activations through music and art. 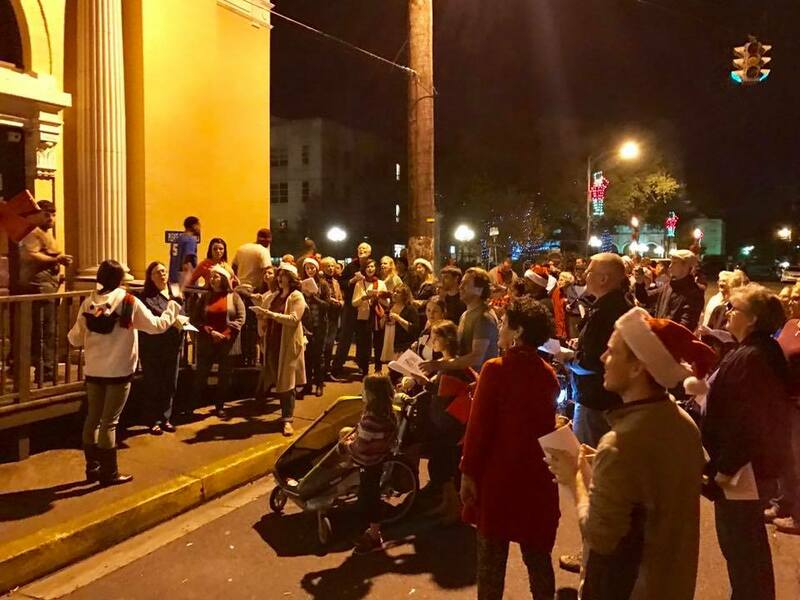 One of the residency’s best-attended events happened in December of last year, when WindSync played at Opelousas’ Courthouse Square and joined hundreds of Opelousas residents in caroling in front of a favorite local restaurant, Back in Time, owned by local food celebrity Ms. Wanda. As a result of the collaboration with local schools, the poems and drawings that students created as a response to WindSync performances were put on display. The ensemble also hosted an interactive weekend performance in front of the library, incorporating the talent of beginner band students alongside the quintet, many of whom were performing in front of an audience for the first time. Sometimes, the way to a community’s heart is through its music. In Opelousas, it became a tool — a language — to approach sensitive and even painful challenges in more lighthearted and creative ways. In Kenner, too, music became the channel through which the Westerlies were able to listen to the community’s untold memories, and in turn to make these stories heard. Kenner, a suburb of New Orleans, is divided into two sections by Interstate 10. Despite their geographic proximity, its northern Laketown and southern Rivertown districts face very different sets of socioeconomic challenges. As one-time residents of Rivertown moved North, the historic district — along with its public spaces and cultural institutions — began to stagnate compared to Laketown. An impromptu trip and performance at the Kenner Farmers’ Market quickly shed light on how the Westerlies ought to plan their residency. As the musicians explored the market, they realized that the vendors were mostly selling crafts and other non-food items: This lack of actual local farmers led trombonist Willem de Koch to get the sense that one could “hardly call it a farmers’ market.” The ensemble picked up on the dissatisfaction growing among the artisans, much of which seemed to stem from the market’s location and a feeling of neglect on behalf of the City management. A number of vendors even expressed their intent to not return to the market should it remain where it is, noting that LaSalle’s Landing, along the Levee, would be a much better location to draw a crowd. 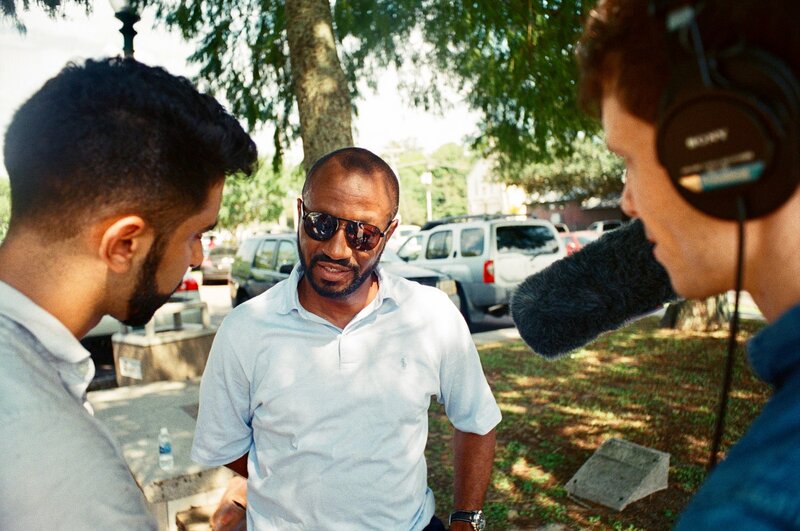 The Westerlies discreetly sent a text to Councilman Carroll, inviting him to come by the market to enjoy their performance, and suddenly, the market became a platform for an informal meeting between the vendors and their council representative. The vendors had never before had such a visit from City government; it was thanks to the Westerlies’ appearance that their concerns came to light. The dissonance among the vendors saw its resolve when, by the following July, the farmer’s market was successfully relocated. Mike Ince’s idea to relocate the market finally gained momentum when the vendors endorsed it in front of Councilman Carroll. Not only did the new location bring new life to the market, but the Westerlies’ involvement also spurred a plan for weekly performances by local musicians. Inspired by this serendipitous farmer’s market visit, the Westerlies recognized the need to unearth the wealth of local knowledge in Rivertown Kenner in order for their residency to have a long-lasting impact on the area. So, the members of the ensemble began to record the stories of Rivertown locals, who detailed the realities of life in Rivertown Kenner since its economic downturn, and the loss of residential communities that accompanied nearby airport construction in the 1950s and 60s. Gifted with community members’ stories of the once-thriving town, the ensemble members composed original music to match each local memory. These recordings were shared with the Rivertown Museum and Planetarium, where they were put on display and accompanied by live music. The Westerlies also performed alongside the interviews in front of the city council, and aired them on Kenner’s public access television station. Listening is a crucial part of the creative process, whether with regards to making music or making great public spaces. By seeking out locals’ stories, the Westerlies were able to create something of a musical time capsule for Rivertown Kenner, transforming local memories into lyrics by composing original music inspired by time spent together, in community, and in place. Just as in music, sometimes the best approach in placemaking is to improvise. Both WindSync and the Westerlies brought this approach through their music to their residencies, coming to Louisiana not only to immerse themselves in its musical heritage, but also to become some of the first musicians to deliberately explore the intersection of sound and place. So, to answer the question with which we started: What does a good place sound like? It all depends on the audience. But as long as you are listening, the story of a place will unfold — perhaps with some music to go along with it.